Tribune editorial: Don’t suffer for nothing. Vote. Weeks, that sometimes seemed like years, of often nasty campaign ads on TV, yard signs cluttering up everything and politicians popping up everywhere you look. It will all be over Tuesday night. That’s when the polls close and the counting — which may take several more days — begins. The sentiment, “Don’t vote, it only encourages them,” may seem appropriate just now. But the truth is that the suffering of the campaign season will be for nothing if those who have the final word, the voters, don’t do their part. Utah has made many efforts over the last few years to make it easier for eligibles to exercise their franchise. We have online voter registration, early voting, voting by mail and, this year for the first time in Utah, the option of registering to vote at the polls on Election Day. But the ease in easier doesn’t always work when anything, however well-intended, is new. In Salt Lake County particularly, the effort to make voting easier by providing everyone with a mail-in ballot backfired last time around when not as many people as expected took up the vote-by-mail option and instead showed up at a greatly reduced number of polling stations on Election Day, just as they always had. This year, there were reports that some voters did not receive their mail ballots and concerns, not just by partisans, that there still are not enough early voting and Election Day polling places. That lines may be long and patience may wear thin. Concerns that attempts to make voting easier have actually made it more difficult are worth discussing. And should be addressed soon, not two years from today. But for right now, voters who haven’t already sent in their mail ballots or swung by an early voting location have to take some of this responsibility upon themselves. If you want to mail in your ballot via the U.S. Postal Service, remember that it must be mailed in time that the postmark on the return envelope is on or before Monday, the day before the election, not on Election Day itself. 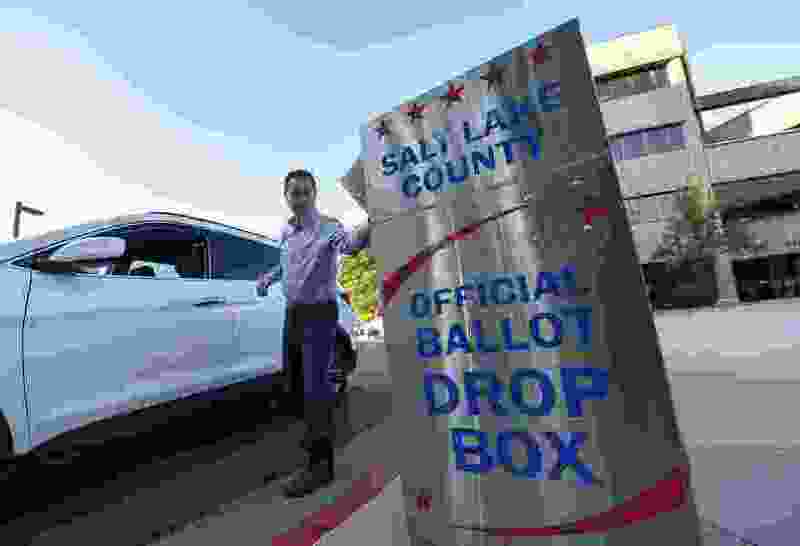 Or you can drop it off as late as Tuesday at a your county clerk’s office, a polling place or in one of the many drop boxes to be found at public buildings, such as the Salt Lake City Main Library. Registering to vote at the polls on Election Day is new in Utah. Anyone planning to do so should be sure and have a proper ID — something as simple as a Utah driver license or U.S. passport — with them. And, again, new processes can be difficult and time consuming. So expect to be there awhile if that’s your choice. Americans are really kind of spoiled when comes to democracy. We expect voting to be quick and simple and, if that’s what we want, our public officials should do a better job of giving it to us. But being able to vote at all, when so much of the world doesn’t have that chance, should be well worth a couple of hours out of anyone’s year.